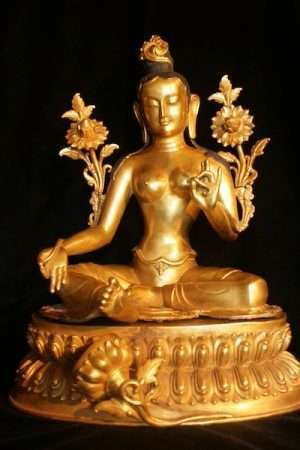 The quintessence of compassion. 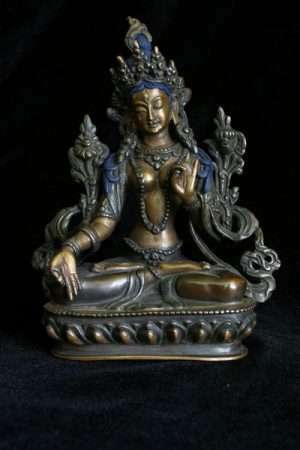 The embodiment of Wisdom. 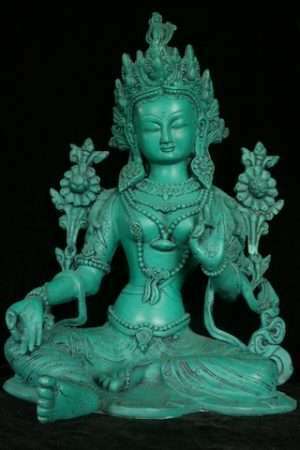 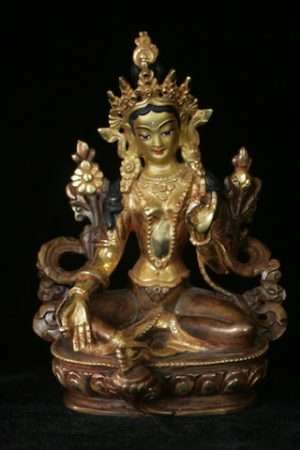 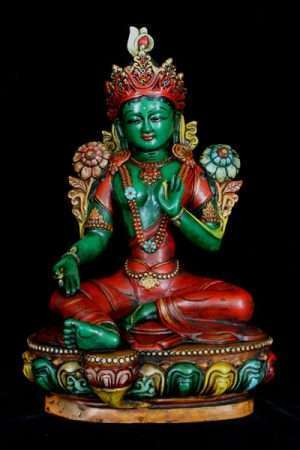 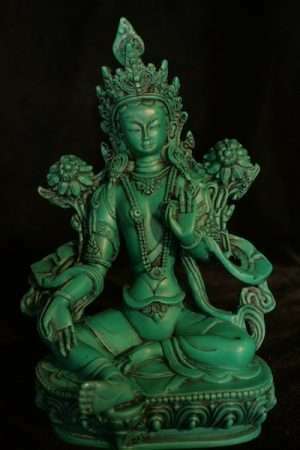 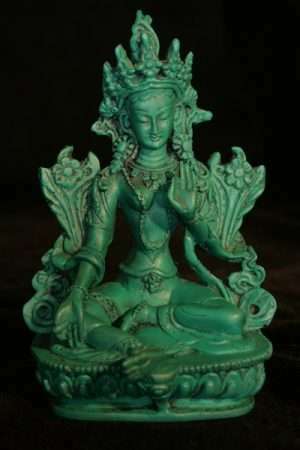 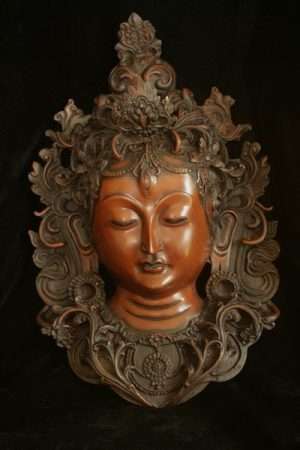 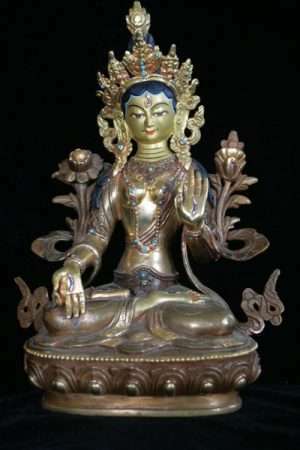 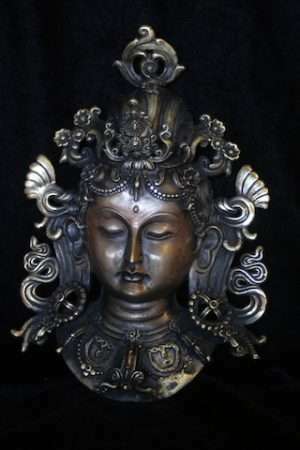 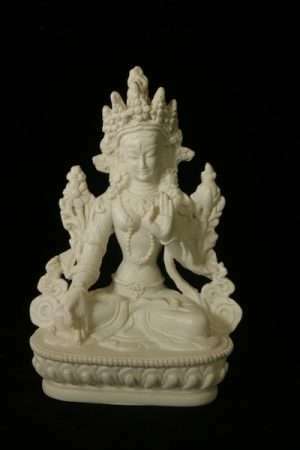 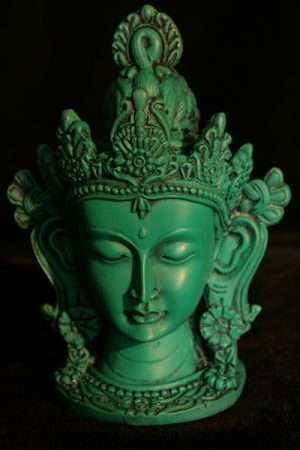 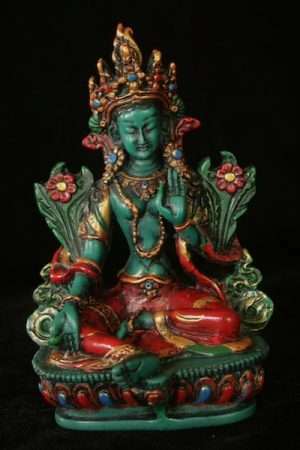 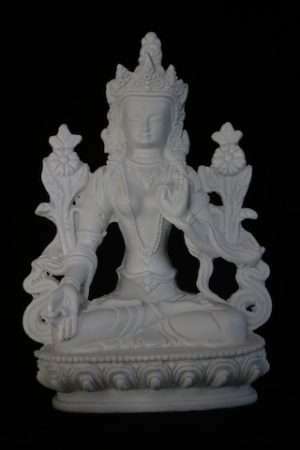 Various styles, forms and sizes of Green and White Tara statues available. 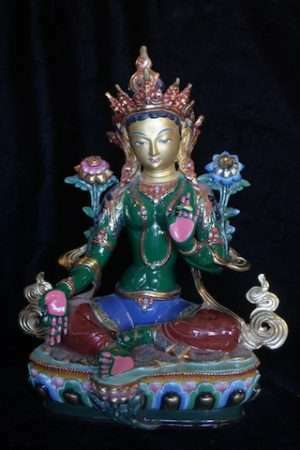 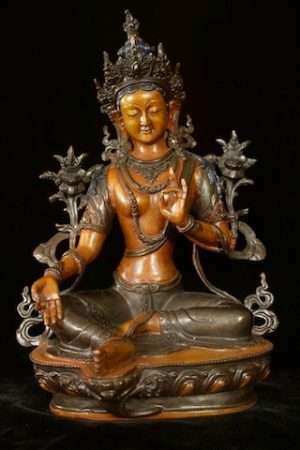 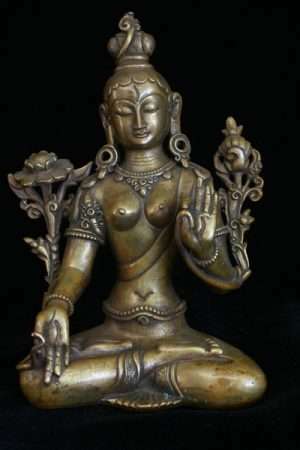 Green Tara statues show Tara extending her hand outwards in the giving odd dana mudra. 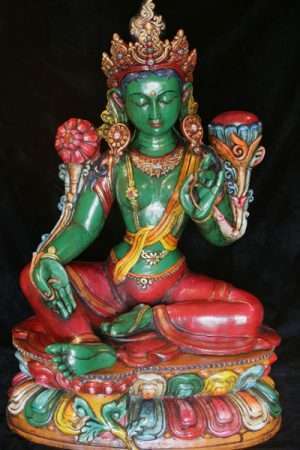 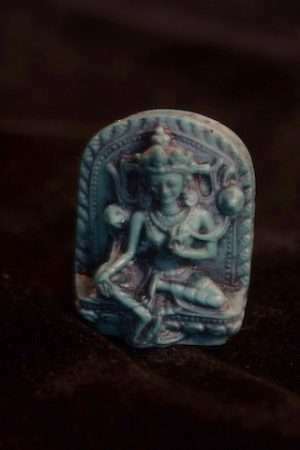 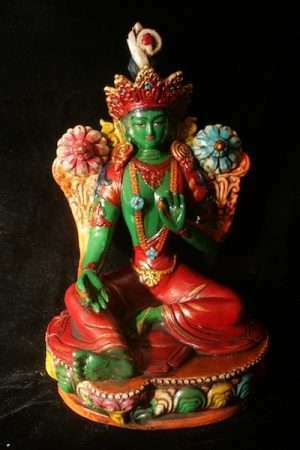 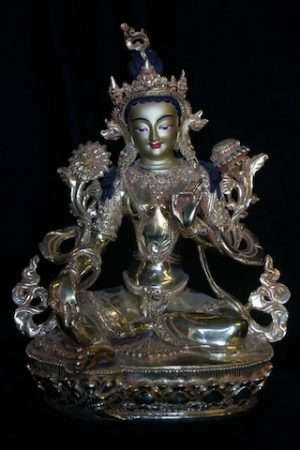 Green Tara has her leg extended outward as she moves into the world with Compassionate activity. 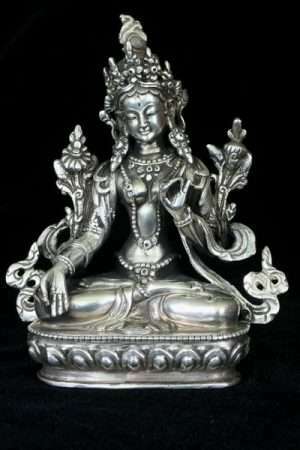 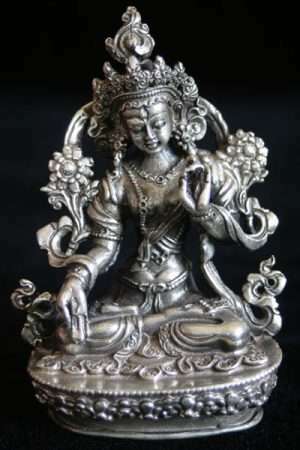 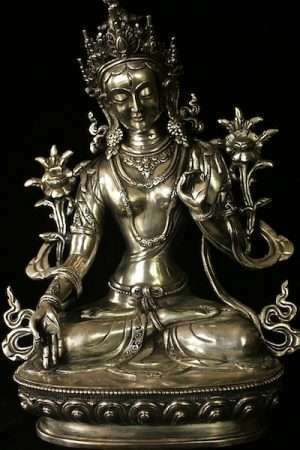 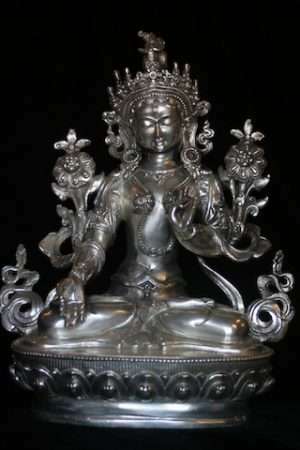 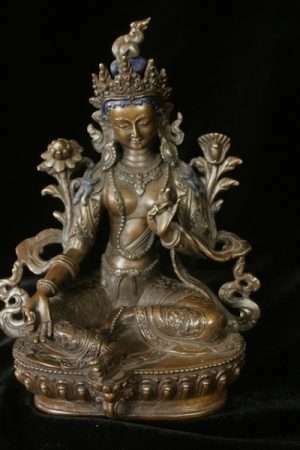 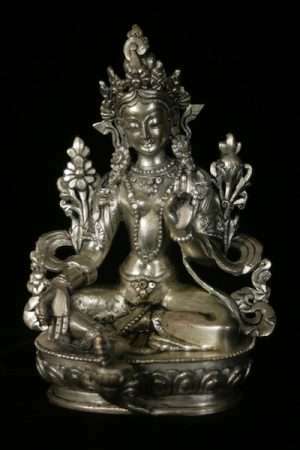 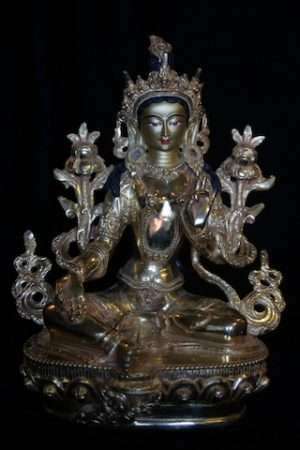 White Tara statues show Tara again giving but her legs crossed in meditation. 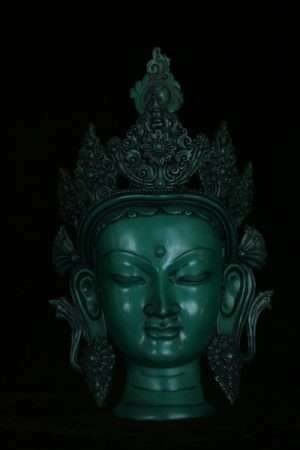 Both are aspects of The Compassionate Enlightened mind. 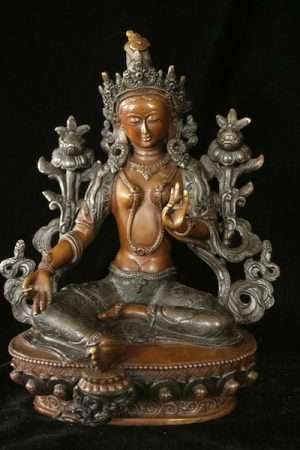 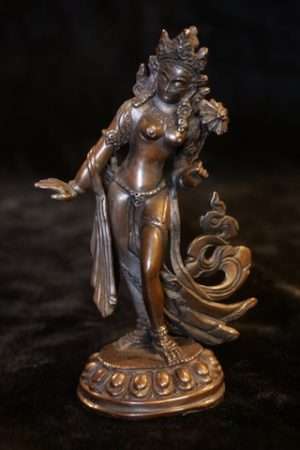 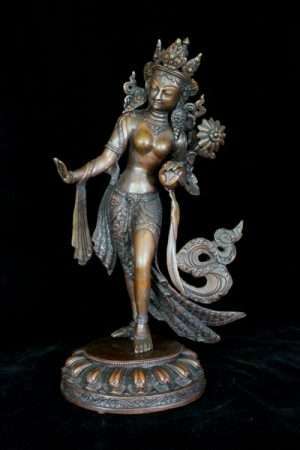 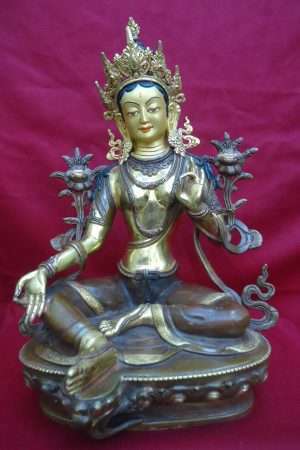 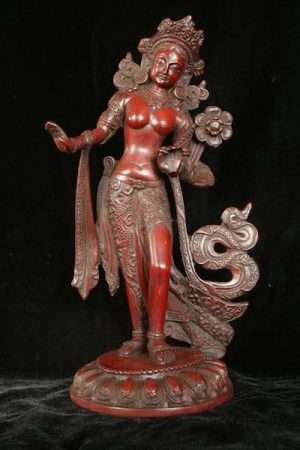 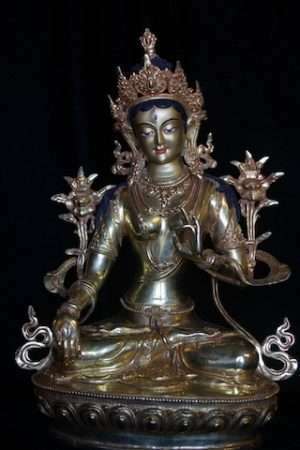 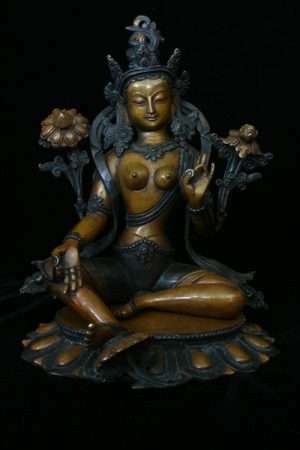 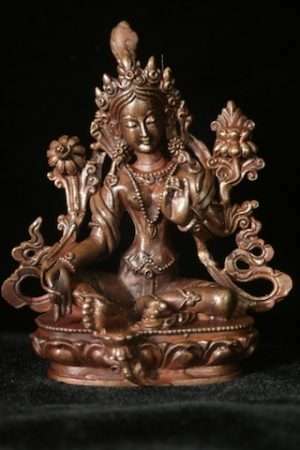 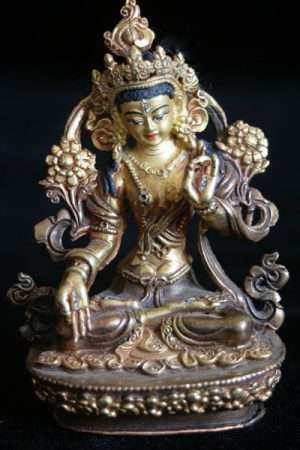 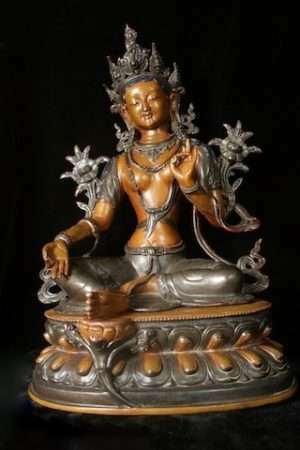 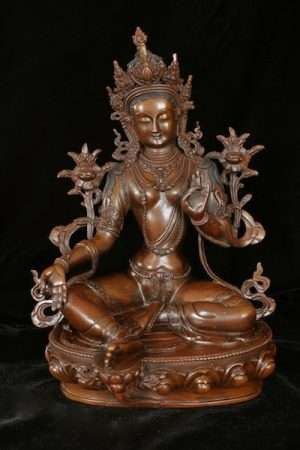 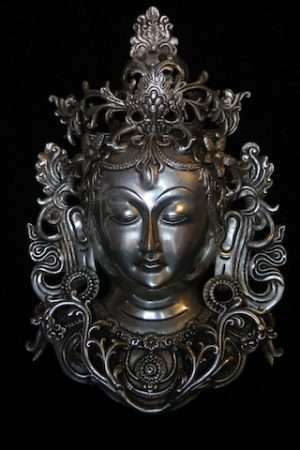 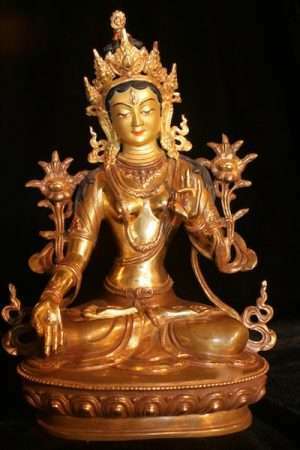 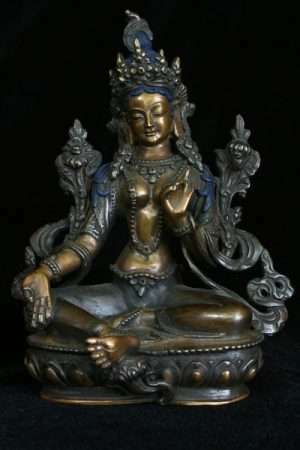 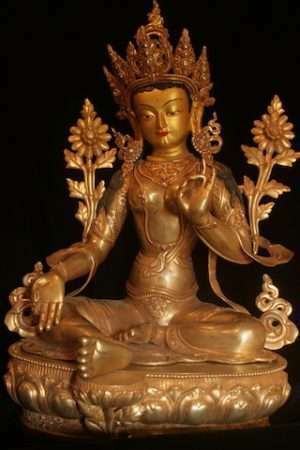 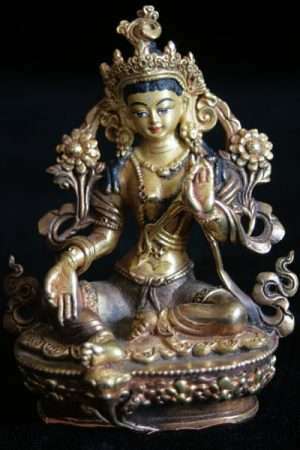 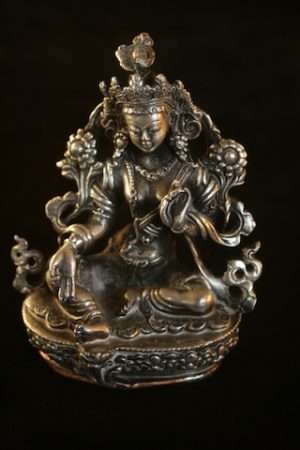 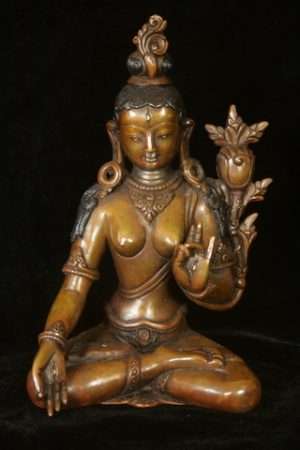 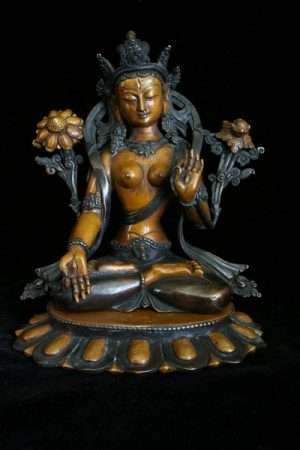 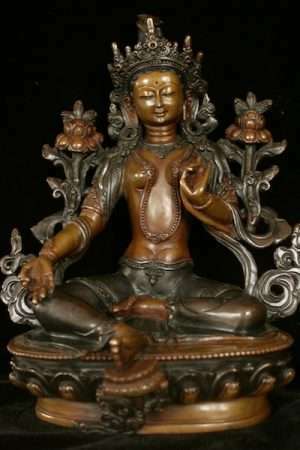 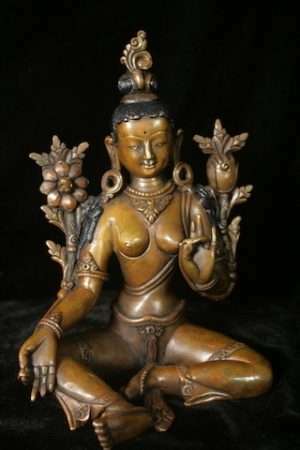 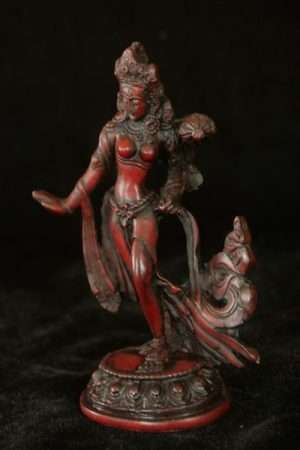 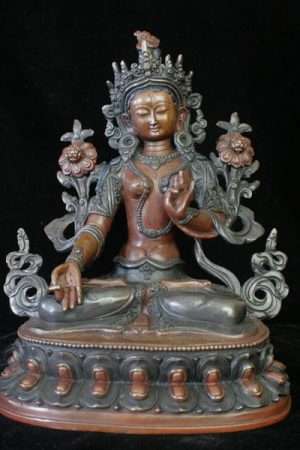 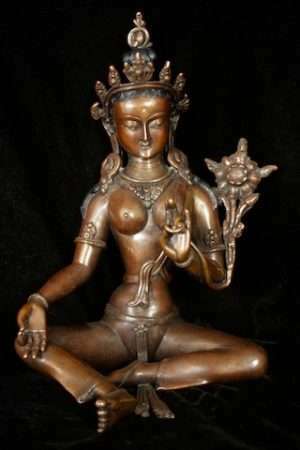 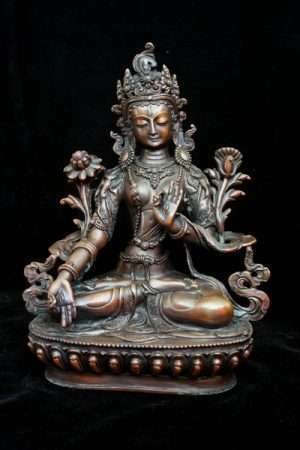 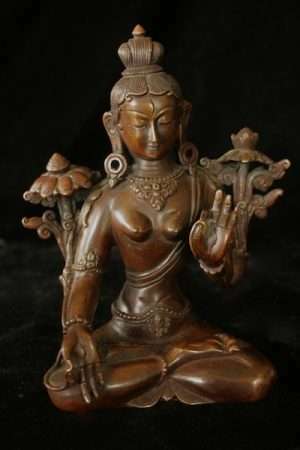 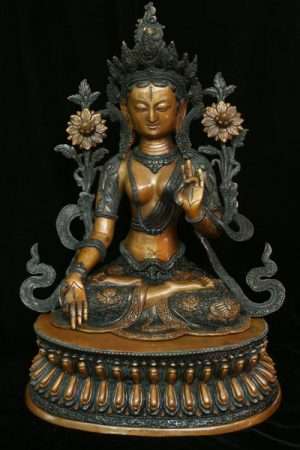 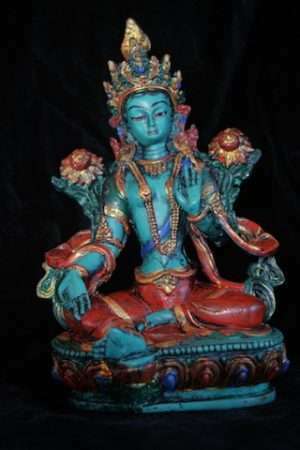 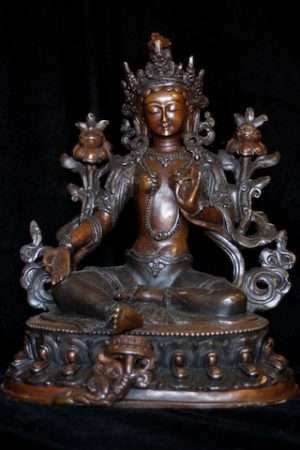 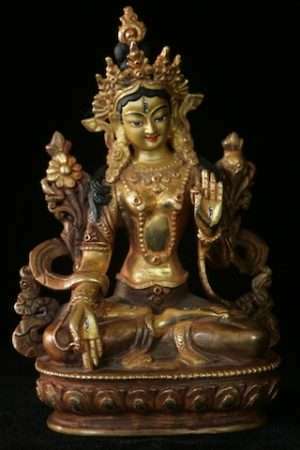 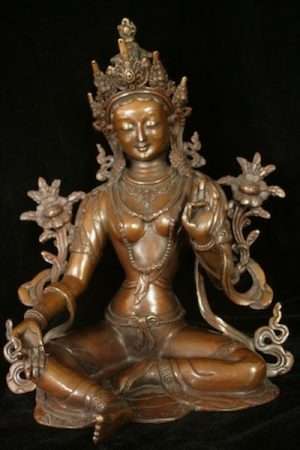 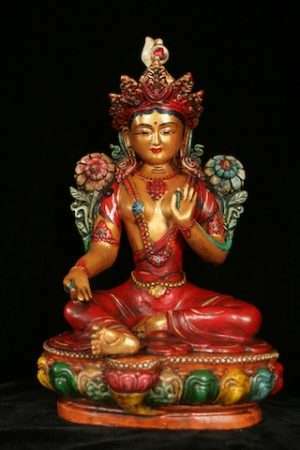 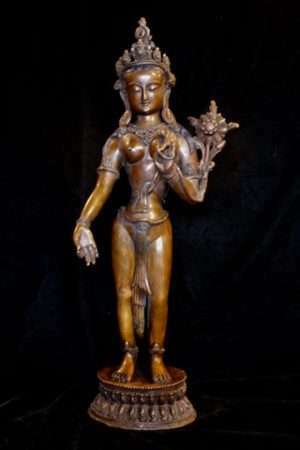 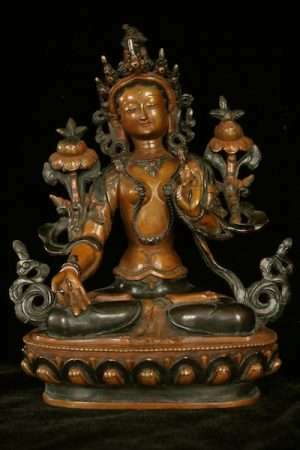 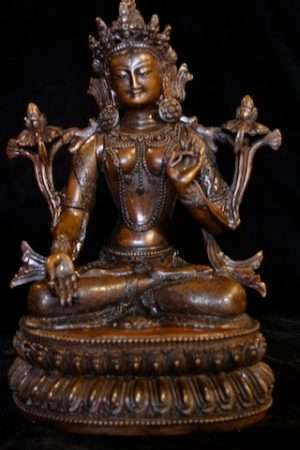 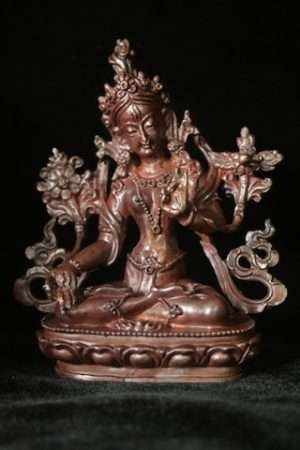 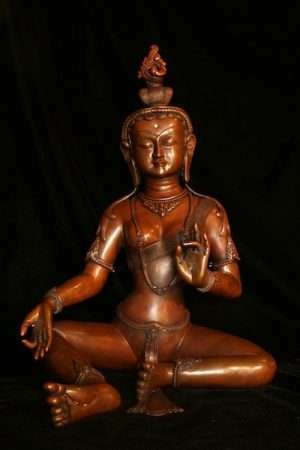 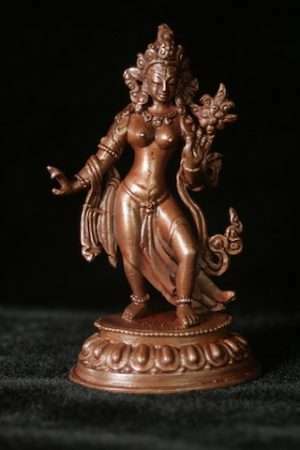 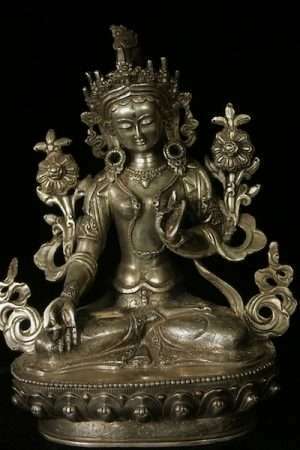 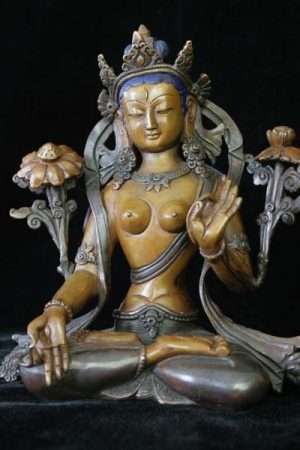 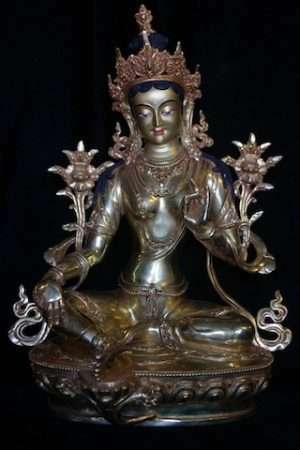 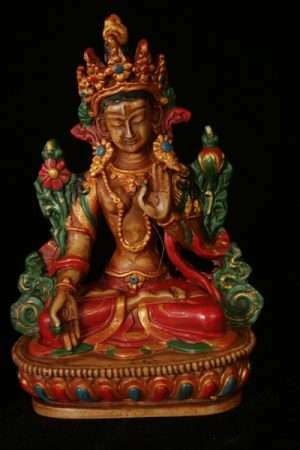 Most of the Tara statues are in copper which is then oxidised/patinated to bring out colour. 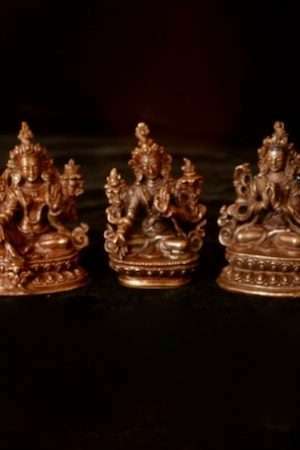 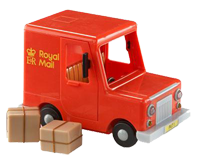 They can also be gold plated and have gold painted faces.